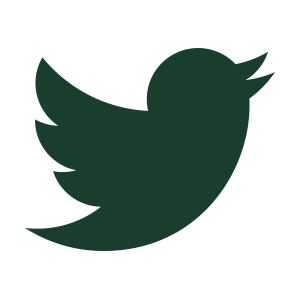 Ever wondered what it might be like to work in a war zone or in the aftermath of a natural disaster? 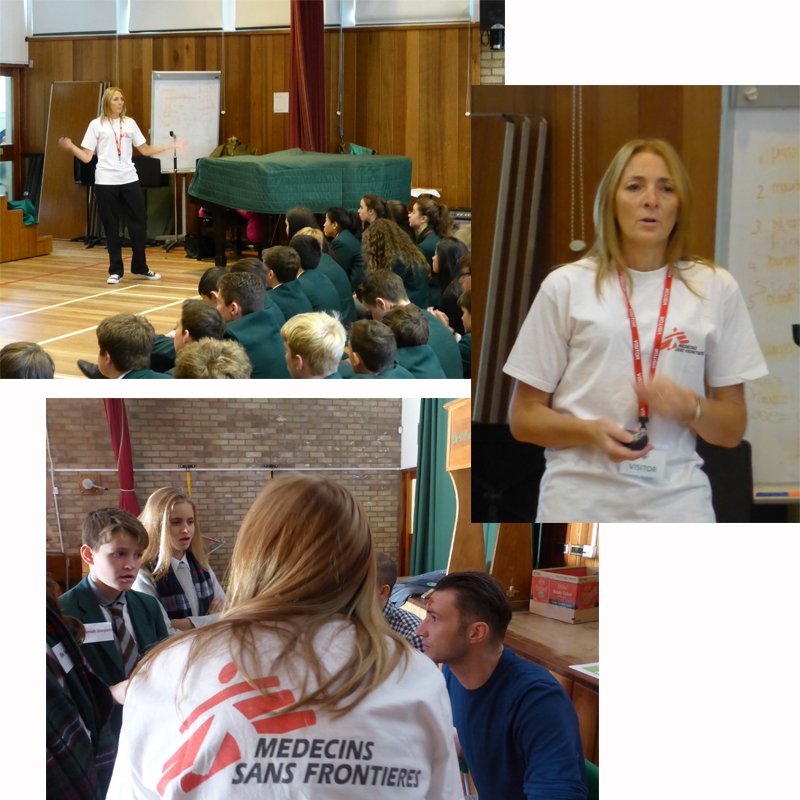 On Monday 7th November, pupils from Wellington School and Kyle Academy found out how the international organisation Médecins Sans Frontières (MSF), aids victims of armed conflict, epidemics, and other disasters. Mrs Bartholome, Teacher of French at Wellington School, organised for Dr Freda Newlands, an emergency doctor with NHS Dumfries & Galloway to speak to S3-S6 about her experiences in Jordan and Syria. She shed light on the work of an emergency doctor, seeing atrocious injuries and working without the equipment or sanitation that we take for granted in Western hospitals. Despite the challenges, Dr Newlands was keen to share the many heart-warming and rewarding stories from the front line. 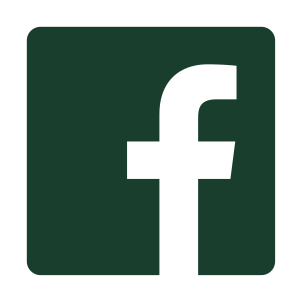 Following the presentation from Dr Newlands, Languages, Biology and Geography Departments jointly coordinated a ‘staged disaster’ where pupils were engaged to work as ‘The Emergency Response Team’ for MSF in the Caribbean. In workshops, they acted as humanitarian officers, doctors, surgeons, journalists, geologists and police officers. 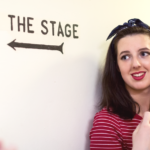 Dr Newlands was very hands-on and was involved in every workshop, offering her expertise and making the event more realistic. In Languages, Monsieur Bartholome, Monsieur Levif and Monsieur Pirat were injured French speakers. 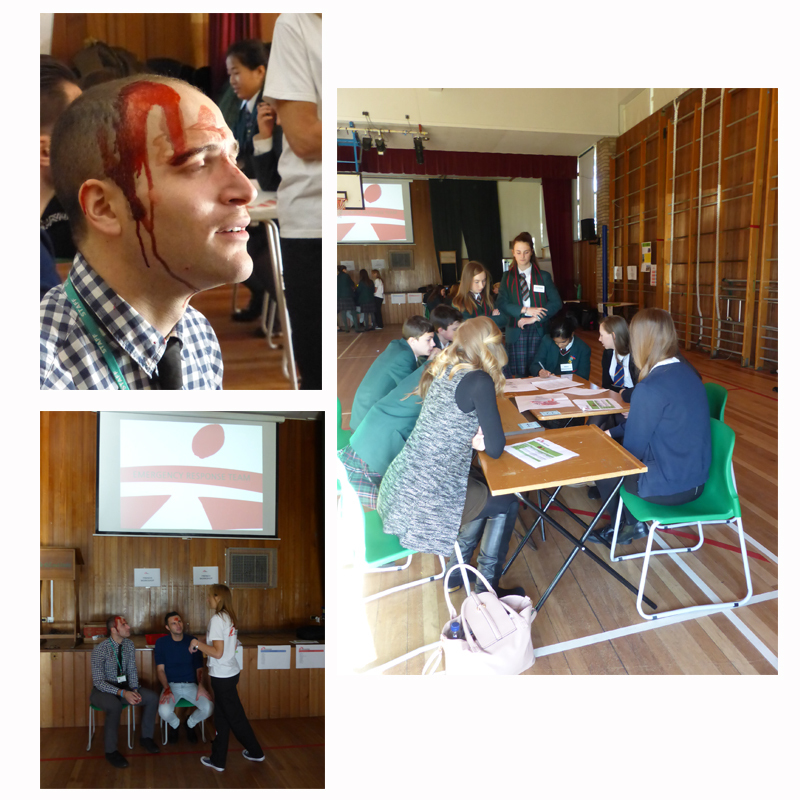 Pupils, acting as doctors, humanitarian officers and police, gathered as much information as possible from the injured parties and created patient profiles. 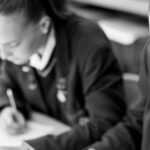 Monsieur Bartholome commented on the excellent language skills and the level of fluency of pupils. There was an International News desk for the German, Spanish and Support for Learning pupils. Journalists had 50 minutes to interview, write and produce front covers for their national newspaper. It was a very frenetic session, as I am sure you can imagine! 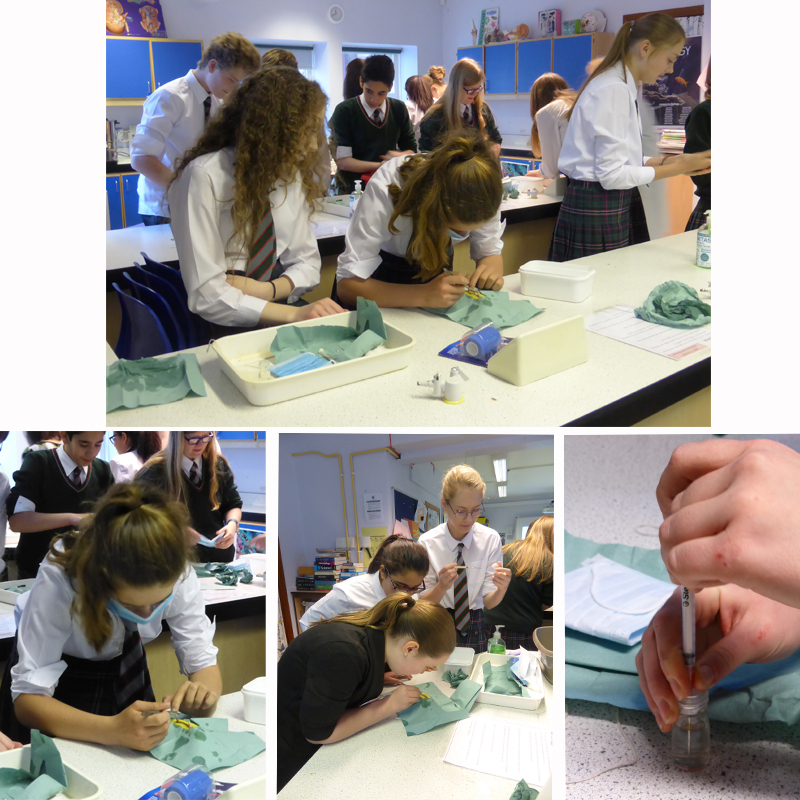 In Biology, pupils acted as scrub nurses and surgeons. 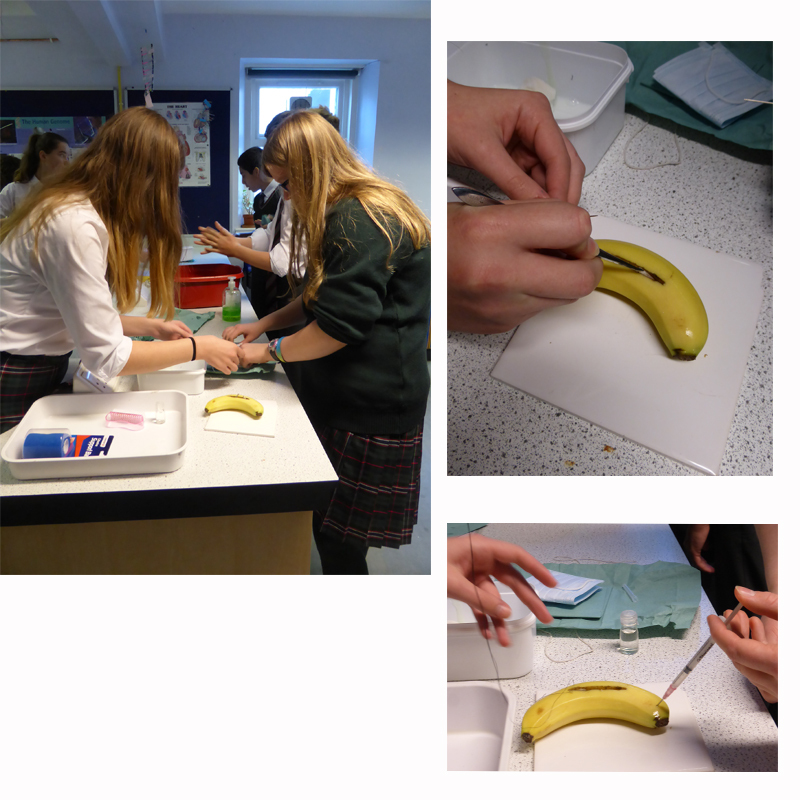 They performed surgery on limbs (bananas) which involved scrubbing down, cleaning the wound, administering anaesthetic, repositioning (chicken) bones and finally, learning to suture. According to Mrs McIntyre and Mrs Ness gangrene set in quite quickly! Feedback from pupils was also very positive, especially from the girls who joined us from Kyle Academy. They enjoyed working as part of the ‘Emergency Response Team’ and commented on how nice the pupils and teachers were. 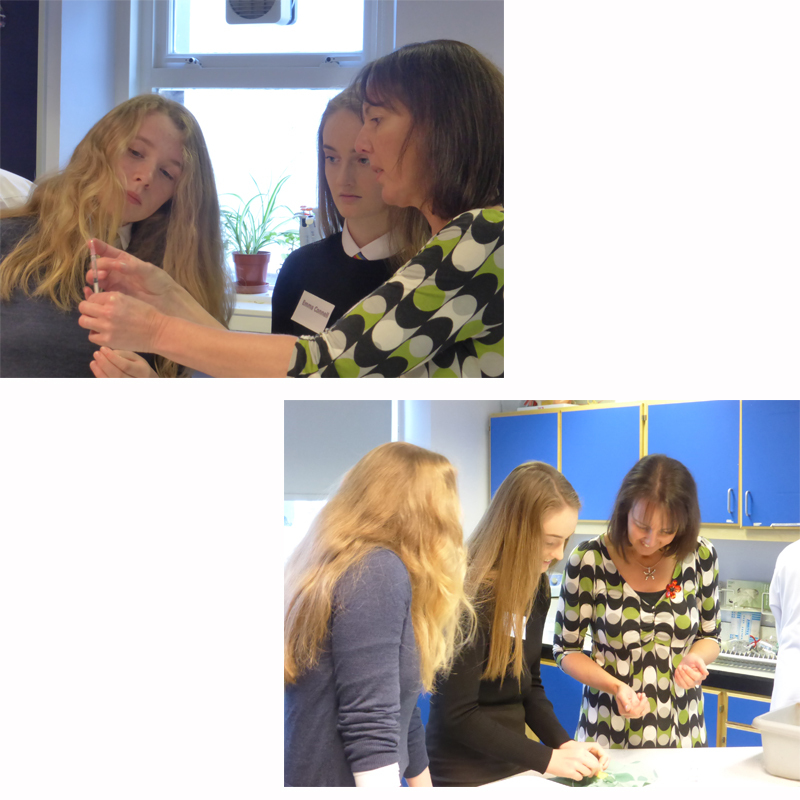 Some Wellington parents even emailed Mrs Bartholome to thank her for organising such an invaluable visit; one in particular was delighted that her daughter came back from school bubbling with enthusiasm, saying she is now considering becoming a surgeon! She was also grateful that her daughter had the opportunity to experience what selfless service involves.